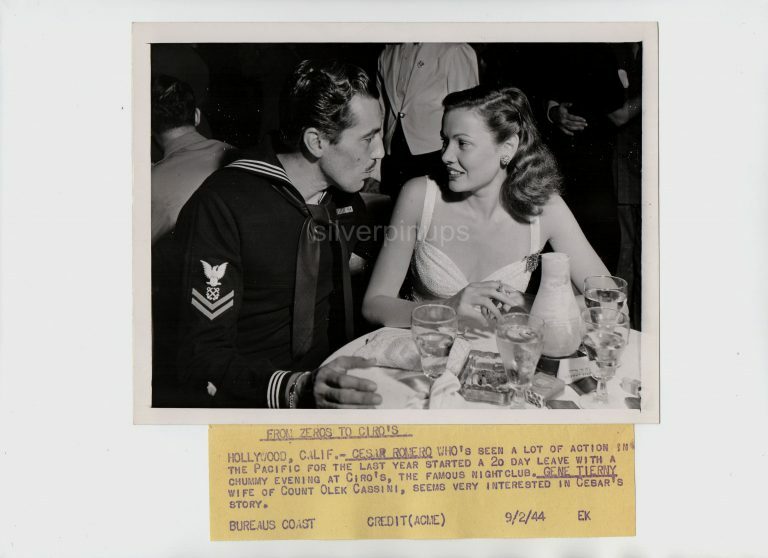 This is a RARE original circa 1944, 6.5 x 8 inch candid press photo of actor, CESAR ROMERO and actress, GENE TIERNEY looking simply chic as they enjoy a night out on the town at Hollywood’s famous Ciro’s Night Club. 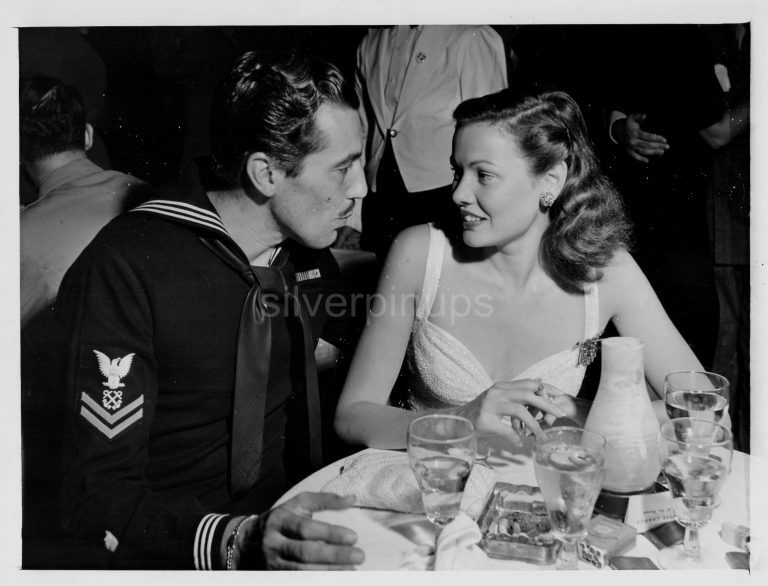 Romero was on a 20 day leave from performing his patriotic duty in the US Navy during World War II. Well Documented Photo! 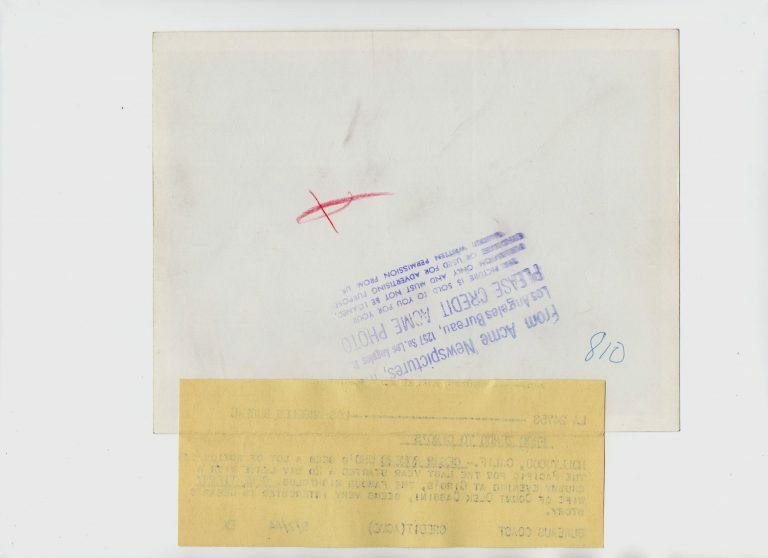 The photo is in VERY FINE condition with minor surface wear. I do combine shipping on multiple items. Shipping in Canada and the USA is 12.00. (I take my packaging and shipping very seriously, see my feedback) I will also ship Internationally, Tracked Packet-International for 40.00. Payment is due within 7 days of auction ending.